Fishermen in the North Atlantic have been struggling for years with unbelievably harsh working conditions. High waves, violent rain, icy cold and piercing winds are all part of their daily routine. As a result of their unique demands for weatherproof clothing, the company 66°NORTH was born. Their goal: to design high-quality workwear to defy the elements of the 66° parallel north. The success of 66°NORTH among the Icelandic fishermen and workers quickly resulted in the expansion of their products. Interestingly enough, the Icelandic brand has only been exporting to the European mainland since 2001, with North America coming shortly thereafter. Today, the Icelandic clothing manufacturer is not just a specialist for technical outdoor clothing and sportswear, but is also considered an insider's tip for trendy, fashionable and functional leisurewear. To all non-Icelandic people, the names of the individual jackets, trousers and pullovers may sound unfamiliar, exotic and even unpronounceable. Nevertheless, they are not devoid of meaning: 66°NORTH's clothing lines all bear the Icelandic names of certain places, glaciers or waterfalls. 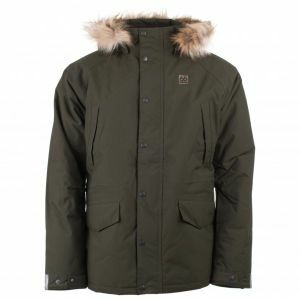 The "Vik Jacket", for example, is derived from the Icelandic word for wick or bay, and the largest glacier in Iceland, the "Vatnajökull", was the inspiration for clothing made to withstand the most extreme of weather conditions. Another interesting fact is that children's clothing by 66°NORTH bears the names of Icelandic gods. In Iceland, Norse gods, elves and trolls are just as ubiquitous as 66°NORTH's clothing. It's highly likely that even the elves themselves sport the outdoor clothing label as well! What had originally been for fisherman, workers and rescue teams is now an insider's tip among outdoor individualists and trendy big-city adventurers. 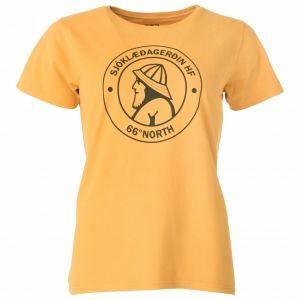 Not only do a number of mountaineers wear 66°NORTH, but German and American celebrities have also been caught sporting the hip Nordic look with the distinctive style of 66°NORTH. Be it producer and director Quintin Tarantino or actor Mel Gibson everybody is fascinated by the Icelandic outdoor specialist. Despite the increasing popularity of 66°NORTH and the development of city-ready weatherproof clothing and leisurewear, 66°NORTH is and will remain a true outdoor brand. Still today, just about every Icelander wears 66°NORTH. And, this is not only true of fisherman's and workwear clothing but also sportswear, outdoor and leisure wear. Several expeditions around the world put trust into the high-quality apparel from Iceland. Regardless of whether it's for the North Pole, South Pole or Greenland, 66°NORTH provides optimal insulation and performance in the coldest places on Earth. The most modern materials are used in the functional textiles of 66°NORTH. 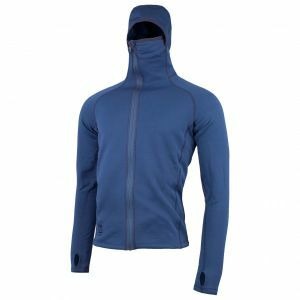 The fleece specialist Polartec delivers high-quality base materials, such as Polartec Power Stretch or Polartec Thermal Pro, which are used in the European production facilities of 66°NORTH for fleece and softshell jackets. For optimal insulation, the Icelanders prefer to use the insulating synthetic material called PrimaLoft. Of course, a wide range of natural materials, such as wool or down, are incorporated into their collections as well. The best combination of materials for a particular use allows for maximum performance in the mountains and on the ground. The majority of raw materials used by 66°NORTH are recycled. Polartec in particular - one of 66°NORTH's main suppliers - manufactures its fleece from recycled materials and uses renewable energy from its hydro station. 66°NORTH has successfully transformed the simple and efficient fisherman clothing and work wear style into clothing for urban adventurers. Still, the Icelanders have always stayed true to their line. You won't find cycling clothing, tents or outdoor gear here. Instead, a simple understatement serves as a statement in terms of design and optimal function. There is no strict formula for the kinds of sports or areas of use that are covered by 66°NORTH's clothing. In Iceland, the weather changes quite frequently, and often these changes can be very severe. That's why the functional textiles need to be weatherproof, breathable, warm and comfortable all at the same time. And, it doesn't matter if a storm strikes in the mountains, on the coast or in the city. So, why is 66°NORTH so popular around the globe? Well, 66°NORTH embodies the Nordic way of life; their clothing doesn't just look good - it always performs, especially in cold, wet and windy conditions. Be it winter in London, a storm in Reykjavik or snowfall atop Germany's highest peak, the Zugspitze, there's no match for the weatherproof clothing of 66°NORTH.